Making and decorating our Christmas tree seems to be the prime point of concern for most of us as the festive season is round the corner. 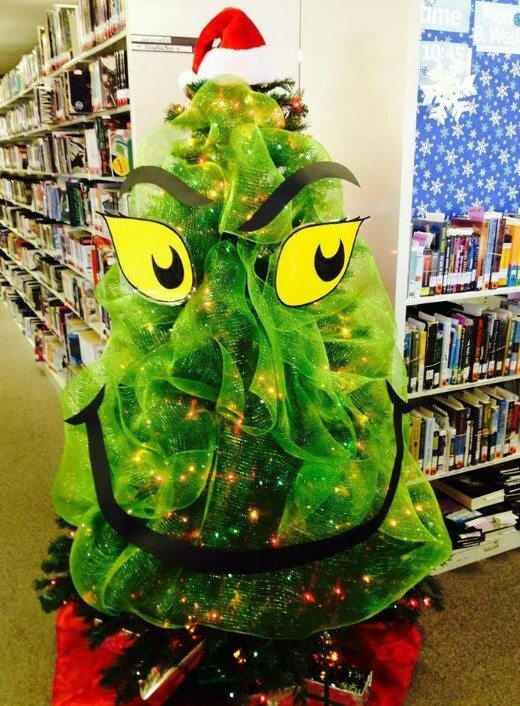 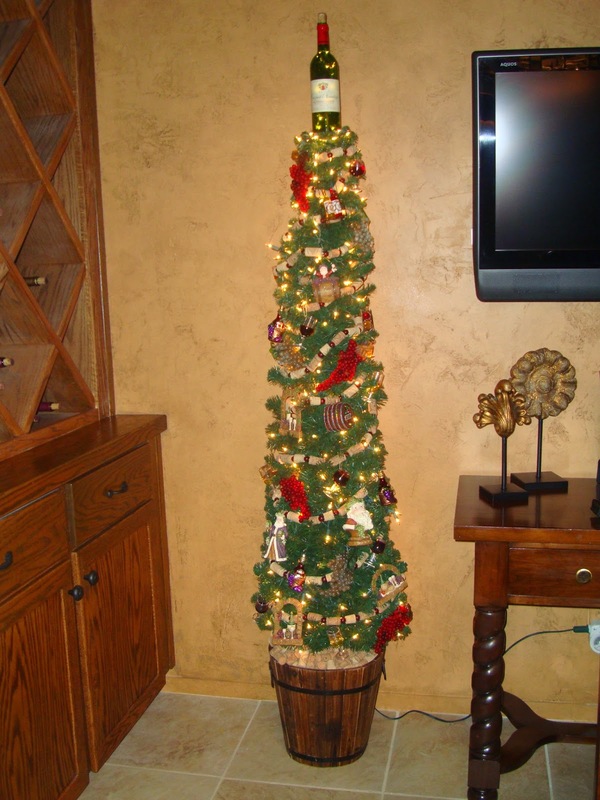 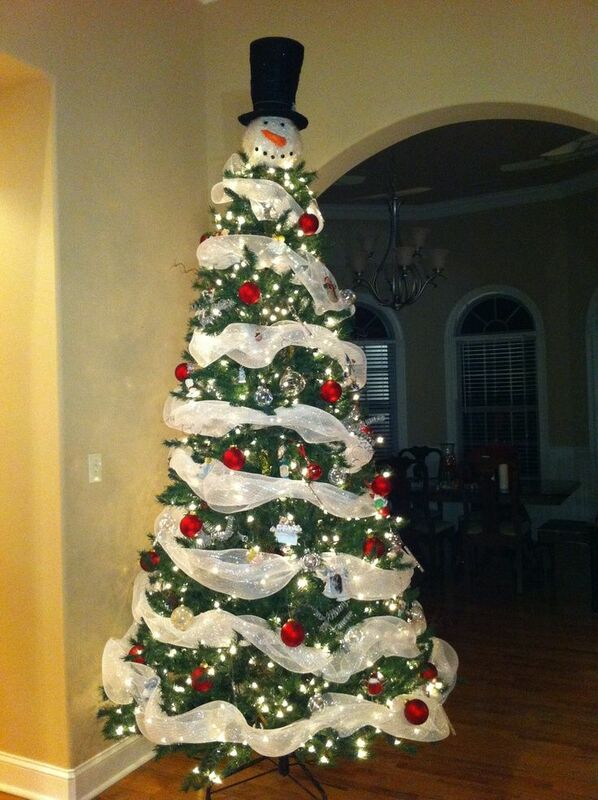 There are numerous innovative ways to give your tree a unique look in comparison to the traditional ones. 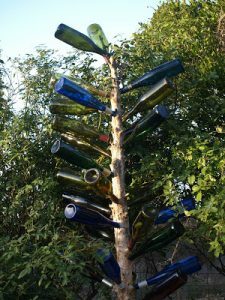 Making a tree from upcycled wine bottles is indeed a splendid idea that you may implement this Christmas if you are on the look out for trying out something new. 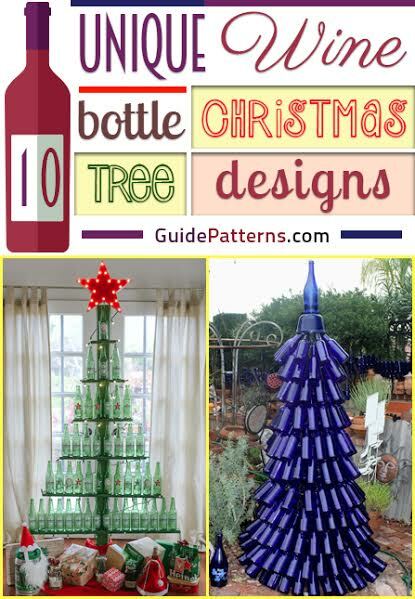 The instructions in the video would be of immense help to you, guiding you in making the tree. 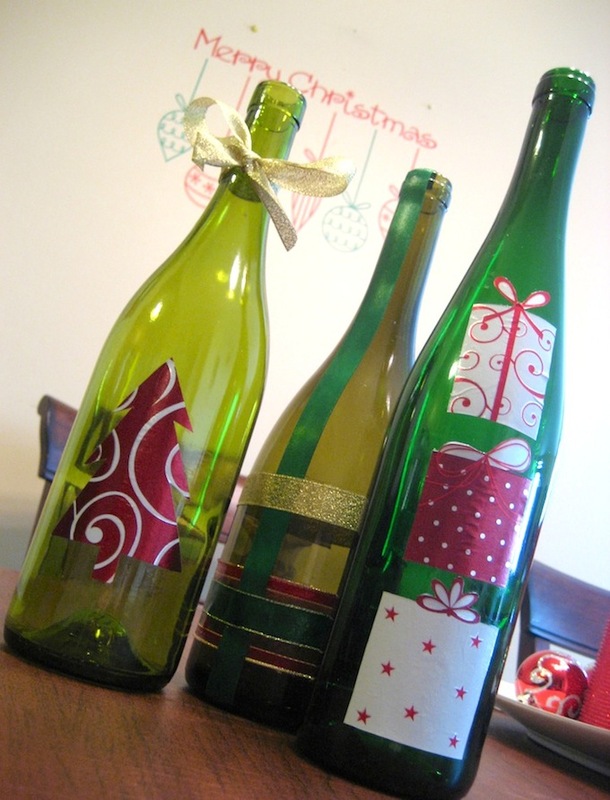 You may wrap the blue bottles with colorful papers though it will be tedious to do each one of them separately. 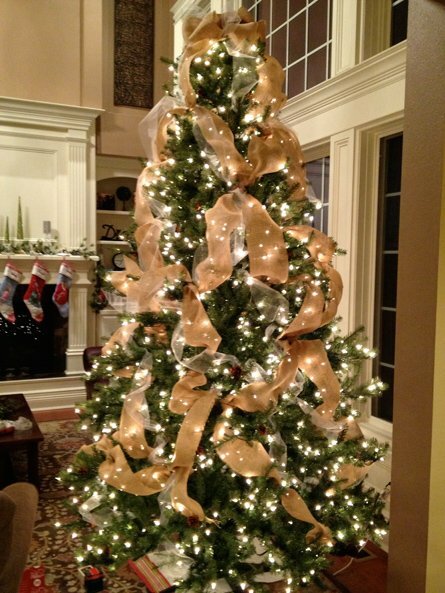 Adding fairy lights would add brightness to your tree. 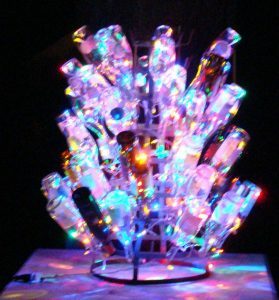 A unique idea indeed of decorating your Christmas tree with wine bottles, corks and glasses coupled with strung lights. 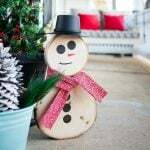 Here the trunk of your tree works as a stand, providing a base to make the Christmas tree. 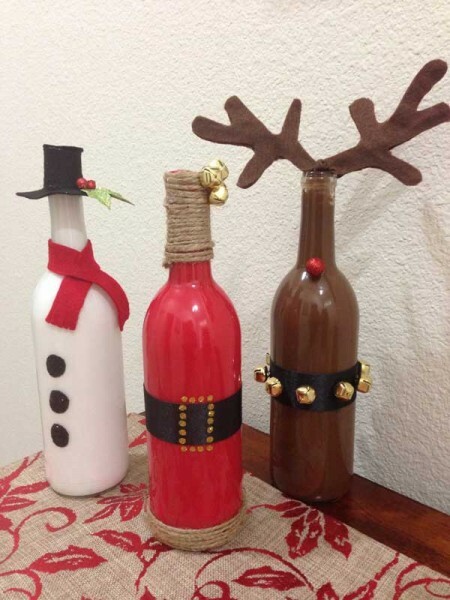 You may paint the whole trunk brown and decorate the bottles to give it a bright and colorful look. 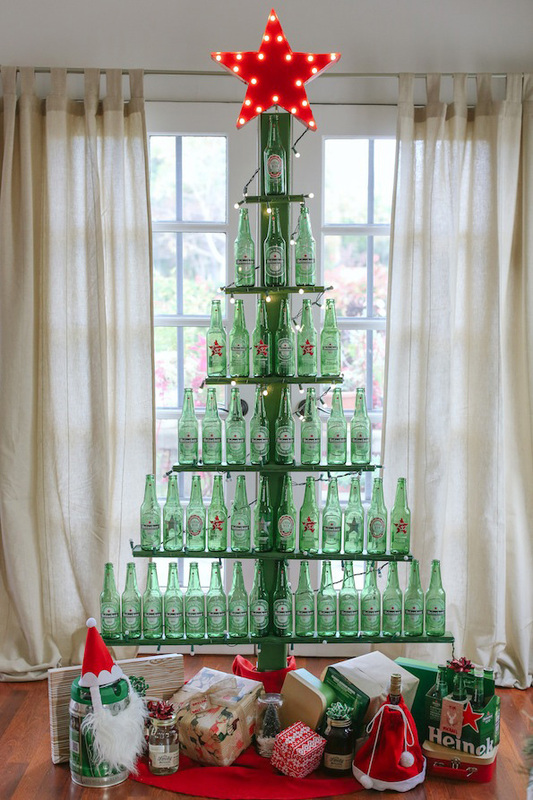 The red star fixed on top gives the tree an elegant touch. 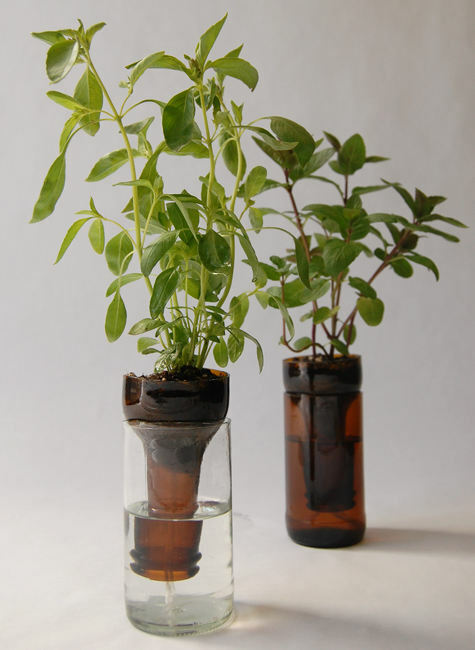 You may make other things out of wine bottles like a candle or decoration pieces to surround the tree. 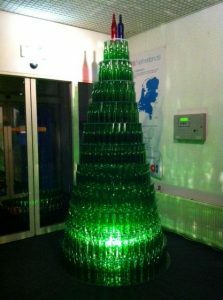 Taking cue from the above tutorial you can take a larger number of beer bottles and arrange them uniformly to make a large Christmas tree. The red and blue bottles sitting right on top gives a unique appearance to the entire tree. 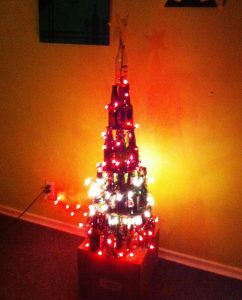 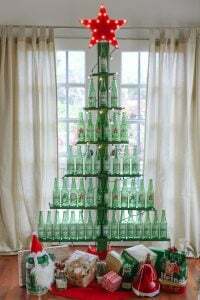 The given link will not only give you an insight into making Christmas trees from beer bottles, but also highlights the use of a ladder, books and other accessories for this purpose. You may take ideas from this picture by painting your wine bottle in varied colors and shaping them into a snowman or anything else. Adding colorful ribbons to these bottles make them a perfect choice for Christmas gifts. 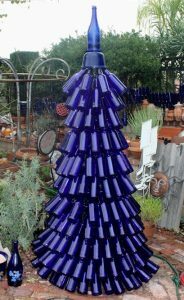 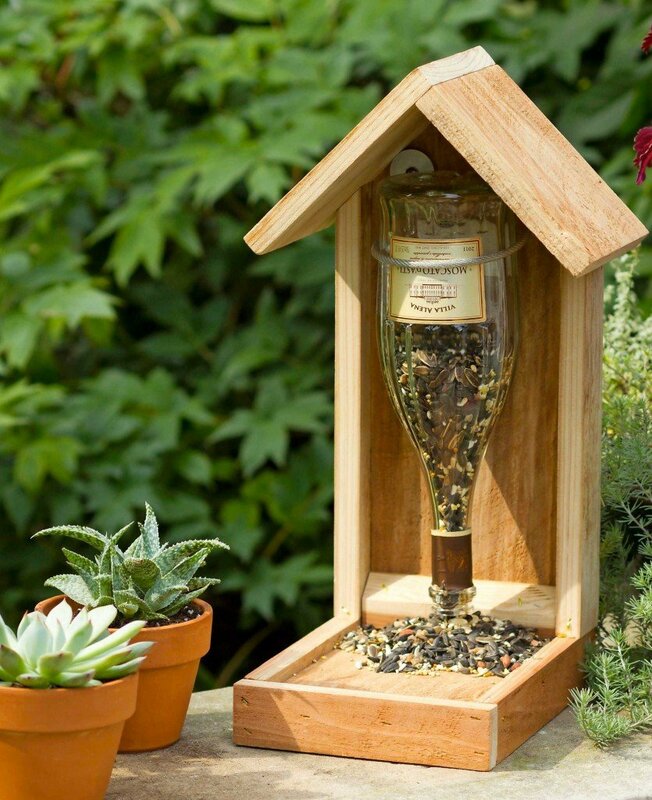 Hope these ideas will be helpful for you to deck your house beautifully this Christmas with a host of wine bottle trees along with colorful ornaments. The blue wine bottle tree was put together by me about 10 yeqrs ago and still lives here. 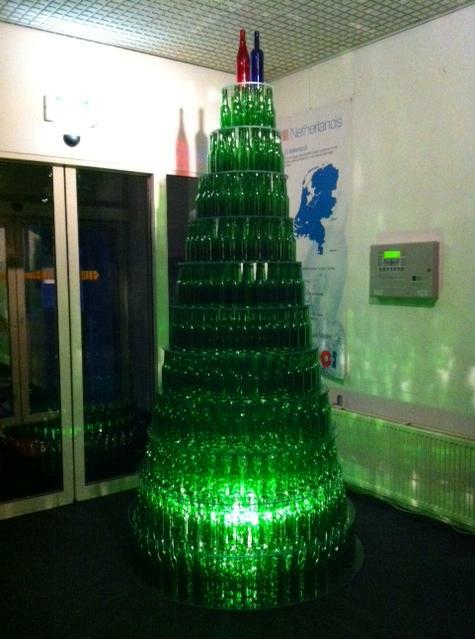 It’s actually made from Bud Platinum beer bottlesn not wine bottles.